Chihaya is a lighthearted tomboy, who's not especially good at anything in particular. Her dream has always been for her sister (an aspiring model) to become the number one beauty of Japan, or perhaps of the world. But then one day she meets someone who tells her that a dream is something that should concern only herself—and something she has to work hard for as well. 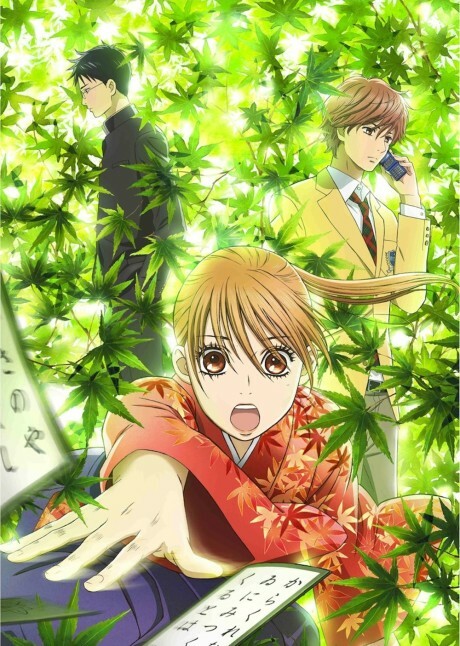 At the same time, Chihaya discovers a passion for the old Japanese game based on hyakunin isshu, called "karuta".